Today, many people are hitting the gym to become leaner, fitter and healthier. 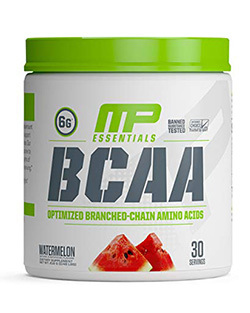 When they start to look in more detail about how they can improve their overall health and well-being, as well as their fitness levels, the word “BCAAs” or “branched-chain amino acids” pops up. But what exactly are they and why do you need to know about them before trying to find a BCAA powder that’s suitable for you? BCAAs help us to have lean mass instead of visceral fat. They set off a synthesis of proteins and stop muscle cells from breaking down. They can also help with energy production in the muscles which is often why those who are working out take them. But how do you know which BCAA product is right for you when there are so many out there? Well, that’s where we come in! Supplemania has done all of the legwork and research for you, coming up with a list of the top 10 best BCAA supplements for you in one easy-to-read guide. No more trawling websites or Amazon for information! Read on to find out more about what BCAAs can do for you whether you are a man, woman, fitness fanatic or someone just starting out in the gym. Why Should You Invest in BCAA Supplements? What is the Right Dosage of BCAAs? So, you’re about to think about a purchase of a BCAA powder supplement but, why should you trust us at Supplemania? To put it simply, we have been running methodical product research for the past five years. We’ve been carrying out this research for our readers to save them the trouble! Our sole purpose is to help our readers to choose the right product for them. In terms of BCAA powder supplements, we have come to our conclusions after over 72 hours of research (I’m pretty sure our readers would not have wanted to dedicate such time to carrying out their own research – you’ll be glad we’ve done the hard work for you!). We have also had several people involved in the process and have therefore eliminated any biased or subjective reviews. We have looked at and reviewed many different brands of BCAA supplements as we are not biased towards any particular brand or company, nor do we try to promote any. We want you to make up your own mind as to which product suits you, hence why we have given a top ten but with three top pick choices to suit almost everyone. In fact, we have reviewed over 35 different products before we shortlisted 21 of them. After further research on this short list, we selected our top ten and this is what you’ll find below in our article. We have deliberately chosen those supplements that actually help improve strength and muscle growth in bodybuilding for both men and women alike, whether they are bodybuilders, athletes or sportspeople. Our reviews can suit almost anyone! The last three are also branched chain amino acids (BCAAs) but still come into the EAA category too. All of the above are important for the body and all people would benefit from having a blend of EAA as nutritional support. Many people in today’s society don’t eat enough foods that contain the right balance of amino acids and can’t always use or absorb them easily. As we age, our ability to extract all the nutrients from protein sources decreases and any additional calories in the food becomes stored as body fat. 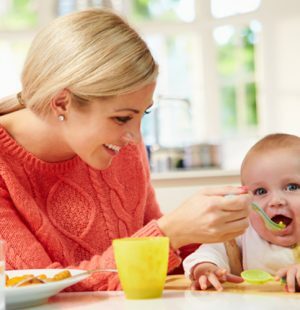 However, both young and old can suffer from the effects of a limited nutrient supply. This can result in skin problems, sleep disorders, weight management problems, weight loss, mood swings, hair loss, high blood pressure, arthritis, diabetes, high cholesterol, and even erectile dysfunction and earlier menopause. 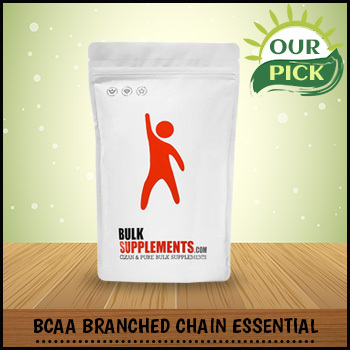 The branched-chain amino acids (BCAA) are called as such because their structure is branched in from, unlike the other EAAs. The BCAAs are the most beneficial and important because they help with energy production and muscle metabolism. This is why BCAAs are popular in the fitness and bodybuilding industry and why so many sports people and athletes consume them. Of course, anyone can benefit from taking BCAAs but they were initially designed and popularized by bodybuilders for their benefit of muscle maintenance and growth. Overall, all EAAs stimulate cell energy production and cell repair. They also produce enzymes that are crucial for digestion. If you are suffering from stress, whether physical or mental, including any injuries, they are also helpful. 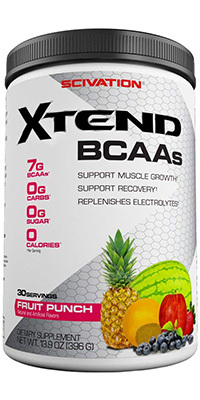 BCAAs provide the muscle fibers with the necessary amino acids to build up quickly. BCAA supplements don’t need to travel to the liver to be processed and therefore the muscles can receive the necessary amino acids exactly when you want them to. BCAAs can reduce lactate dehydrogenase (LDH) and creatine phosphokinase (CPK) which means that there is less muscle damaged caused by exercise and over-exertion. Also, muscle soreness is diminished too. Similarly, if you take BCAA while you are taking time off from exercise (due to injury or otherwise) it will reduce atrophy in the muscles and keeps you metabolism up, preserving lean muscle and preventing fat gain during inactivity. Unlike whey-based supplements, BCAAs contains minimal calories which add unwanted fat to the body. Therefore, BCAA supplements can help athletes and bodybuilders who are wanting to increase their strength but not increase their weight before competing, which is important for athletes in weight-related activities such as boxing. This is unlike weight gain supplements though they often BCAAs as an essential ingredient. This depends. It can be up to 50g per day or as little as 3g per day, depending on the level of activity that you are doing. It is always ideal to take a BCAA supplement with alternative protein sources too. A meal high in protein eaten with BCAA will give you the best results. Are There Any Drawbacks to Taking BCAAs? You should be aware of timings when taking health supplements as other products or foods can hinder the absorption of BCAAs. Some AAs can compete for the ‘carrier’ molecules meaning that not all end up being absorbed properly. If you are bodybuilding then you will need more protein in your diet daily. If you want to have the best results and minimized fats ten investing in protein BCAA supplements is ideal. They can be used in conjunction with protein-rich foods to maintain muscle mass or to bulk out. If you want a high-quality BCAA supplement, have a look at Supplemania! So, of all the BCAA supplements out there, how did we come up with our best BCAA supplement? Well, we started by looking at over 51,000 user reviews of different products to determine what are the important features that users desire and look for when wanting to purchase a BCAA supplement. Overall we looked at over 30 different brands and did side-by-side comparisons. Now that we had our list of key features, we went on to analyze around 25 different products, each with different styles and features. We then came up with a short list of 21 products from the researched supplements and, with these, we visited their websites and read their product guidebooks, went through all their descriptions on different store pages and read individual critic reviews. We then compared the final reviews of our volunteers and matched them with the research data that we gleaned from the web. Once we had all of this data compared, we selected the best 10 products and we are ready to present our verdict to you in this article. Before we do, let’s first have an important look at our disclaimer. All supplements have clear indications, disclaimers and lists of possible side effects on the packaging and on the websites. 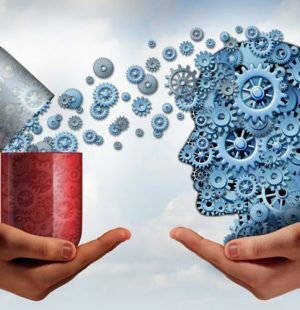 You have to have a certain justification for some side effects experienced by our volunteers but you should also remember that supplements and ingredients can affect people in very different ways and what may cause a side effect in one person may not in another. We have deliberately chosen products for our top ten BCAAs that have a reduced number of side effects. Consult your doctor before using this product if you are nursing, pregnant, have a medical condition or are taking any other medications. You should not use this product if the seal is broken. Keep all supplements out of the reach of children. Allergies: This product was produced manufactured in a facility that also processes milk products, egg, soybeans, shellfish, tree nuts, peanuts, and fish. Due to the nature of dietary supplements, all of the products come with some kind of side-effects. We have selected our products while being fully aware of these side-effects. We have tried our best to ensure that the products on this list are the one with the least side-effects both in number and severity. Note that the side-effects, sometimes, can be subjective. While the users of this product have reported to have several of the side effects, it’s not guaranteed that everyone will have the same side-effects. Sometimes, people with certain allergies can have some side-effects that others might not have. So, regardless of the stated side-effects for each specific product, an user might never come across any of the side-effects at all. If the severe side-effects occur while taking these supplements, discontinue using the product immediately and consult your physician at your earliest convenience. 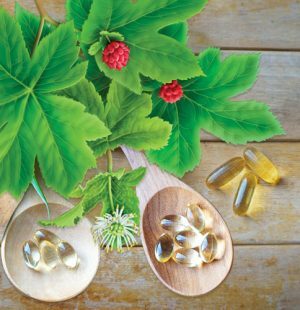 The U.S. Food and Drug Administration (FDA) does not control whether any supplements are effective before they are marketed. So, without further ado, we are going to present to you the ten best BCAA Supplements from our short list of 21. We considered 19 key features that we identified from our research and this is how we analyzed our top ten products and came up with our top ten. We have also gone through the pricing of each supplement and worked out the value per dollar as well as considering the product’s lifecycle by looking at the frequency of its online reviews. This helps us to avoid any misconceptions and only offer you information on products that are currently available on the market today. As a result, everything you see here is an accurate review of the best ten BCAA products in 2018. Furthermore, we have even attached our research report for your perusal if you would like additional data and further facts then you are welcome to access it. To gain access, simply like and follow one of our social media pages. Price $25.96Prices are accurate as of April 21, 2019 at 04:41 AM. Product Prices and availability are subject to change. Any price and availability information displayed on Amazon at the time of purchase will apply to the purchase of any products. As a company, BulkSupplements sells more than 400 ingredients for nutritional supplements to manufacturers and consumers in their thousands! Hundreds of thousands in fact! There are around 40 people employed full time who are proud of their superior customer service and production of top quality products. 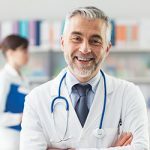 All of the necessary government regulations and health codes are met in their production and before distributing any products, Bulksupplements test each one in their in-house lab, meaning that all of their products are pure and safe to be consumed. They boost their testing by also using independent, US-based laboratories too. This powder fits a muscle building diet perfectly, with easy integration into smoothies & baked meals. It provides high levels of protein that encourage muscle development & holistic reinforcement. For this product, you should have 1500mg (which is a rounded 3/4 teaspoon of powder) three times a day although it may vary from person to person. For optimal results, you should use it prior to working out. The powder has a bitter taste and is insoluble. Due to this, they recommend that you blend it into a smoothie or a fruit purée. It can also be sprinkled onto any meal too, which will give you great effects if your meal is also protein based. If you take BCAAs too quickly, some users have reported feeling fatigue, muscle stress, and muscle pain. This can reduce and subside if you build up the amounts that you consume over time instead of taking it all at once. There are no known interactions with drugs and medication associated with taking this supplement but it might be wise to discuss it with your physician if you are on any medication or have any medical conditions. If you have any kidney or liver problems you should take it in a lower dose. 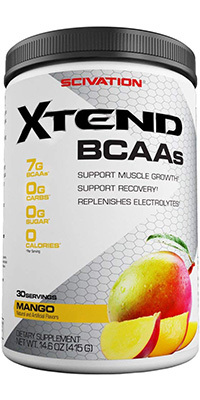 This BCAA powder costs around $25 for a 17.6 ounce packet which works out at around 1.19 per ounce. 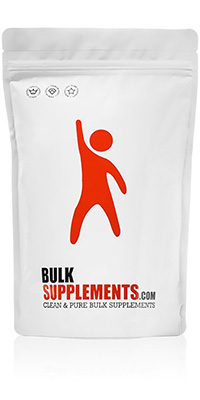 This is our cheapest BCAA powder per ounce, helping it keep its place at our number one spot! There are six sizes available, all without flavor. Why we chose this Supplement as our Top Pick? From the 7000 plus user feedbacks, we have taken both their positive and negative feedbacks into consideration. 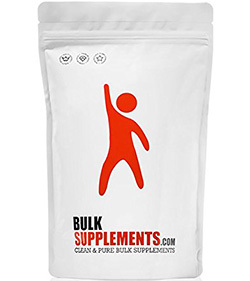 The general consensus among the users shows overwhelmingly positive reviews from which we have concluded that this product is by far the most effective for bodybuilders. This product also provides long-term benefits for its users like Muscle-Building, Energy & Recovery. It provides the best value per dollar with 333 servings for just $19. One serving equals to 1.5g. Usually, bodybuilders have around 8g per day and, if we round that up, that is 5 servings per day. With this in mind, you can easily cover 66 days (over two months) of BCAA supplements for this price. In comparison to other BCAA supplements for the same value, this lasts you twice as long – some other supplements can only serve you for a month. We have given the highest Supplemania Score of 9.7 for its effectiveness, value, and other factors. It also has the highest user ratings of all of our reviewed products, with an average rating of around 4.6 as well as having over 7500 reviews. 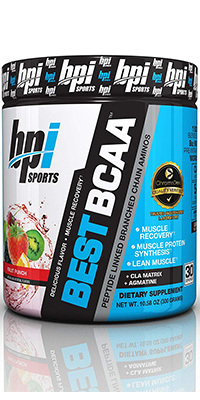 This is the highest number of reviews for any BCAA supplement. In terms of the frequency of its reviews, taking the last thirty reviews into consideration, at the time of our research it has the first 10 reviews in 3 days, the previous 10 reviews in 5 days and the 10 earliest reviews also in 3 days. By this trend, we can understand that this product sells at a great rate and many people are buying it regularly. We also found that this product’s positive to negative review ratio is (25:1) that is overwhelmingly positive and is actually over double any of our other review ratio in our top ten! It has the simplest mixture of in L-Leucine 800 mg, L-Isoleucine 231 mg, and L-Valine 398 mg, L-Leucine 800 mg with very little lecithin. It is 100% pure powder with no GMO. All of these combined make it the best amino acid supplement. 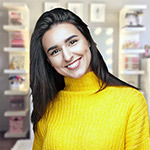 Price $17.99Prices are accurate as of April 21, 2019 at 04:41 AM. Product Prices and availability are subject to change. Any price and availability information displayed on Amazon at the time of purchase will apply to the purchase of any products. This product is created by Optimum Nutrition Inc. which belongs to global nutrition company Glanbia. As well as this, Optimum Nutrition (ON) operates and owns two superior brands in sports nutrition, the other being ABB (American Body Building). Together, there produce a line of bar, tablet, capsule, ready-to-drink and powdered products. Their manufacturing facilities are located in Walterboro, South Carolina, Sunrise, Florida and Aurora, Illinois. ON is one of just a handful of companies that produce products in a vast array of categories. We have looked at the user feedbacks and there were over 5000 at the time of writing. We looked at both the negative and the positive reviews and the general consensus is largely positive. We have also come to the conclusion that bodybuilders are also very accepting of this product. It is reported to give bodybuilders and athletes energy, recover faster and focus on their workout. Its value per dollar is a little above average, at $1.98 per ounce. This is one of the reasons why this product just missed out on the top spot. The bottle has around a month’s supply with 30 servings. 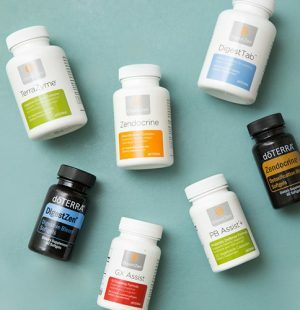 These supplements work in line with a workout regime, by taking them just before you begin you can expect a consistent supply of energy as well as extra help during exercise with muscle mass. 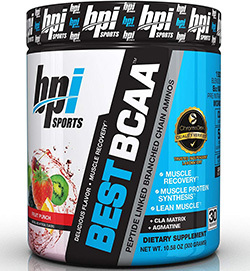 We did find this product to be less effective than the Top Pick but nevertheless, with an average rating of 4.3 and over 5000 reviews, it takes the second spot on Amazon for the most reviewed BCAA powder supplement. Therefore, we can conclude that is popular amongst bodybuilders and athletes alike. We found that, of the 5000 reviews, around 4300 are positive and 500 were negative at the time of our research, with the remainder being neutral. By this, we can understand that a high number of customers are satisfied. In terms of review frequency, it is similar to our top pick, with the first 10 reviews in just two days, the second 10 reviews in 5 days and the earliest ten reviews in three days. This trend shows that the product continues to be sold at a great rate and that many people are continuing to buy it regularly. There are many options for flavors and packs with this product! This might make it even more difficult to choose which to buy. Our top pick is flavorless, although tastes bitter alone, and so this option in our runner up pick is great for those athletes and bodybuilders who prefer the flavor. It has a unique combination of Amino Acids with caffeine in a wide range of flavors including fruit flavors and mocha cappuccino! Its price tag is approximately $17 for 9.6 ounce which works out at around $1.98 per ounce. In comparison to our Top Pick, it is a bit on the expensive side. This powder has a variety of uses. You can use a different dosage for whatever occasion it is that requires a boost. Two scoops of powder (0.17oz) can be used for a Mild Energy Boost, four scoops (0.35oz) for a Moderate Energy Level and six scoops (0.52oz) for an intense boost. You can also take a scoop for a simple morning boost on waking or between meals, not just prior to working out. As a pre-workout supplement, it’s best to have 1-3 servings about 20 to 30 minutes before exercising. You can also use it as a recovery supplement after your workout. For this, you would consume 1-2 servings immediately after your training session. They recommend that you mix every two scoops with 10-12oz of cold water. Given that this BCAA powder contains beta-alanine, it may cause you to feel a tingling sensation temporarily on your skin. This is nothing to worry about and with continued usage, the sensation will reduce or even disappear. Price $10.41Prices are accurate as of April 21, 2019 at 04:41 AM. Product Prices and availability are subject to change. Any price and availability information displayed on Amazon at the time of purchase will apply to the purchase of any products. MET-Rx Inc. is a company based in America as well as a brand of nutritional supplements. Located in California, the company was set up by a man called Scott Connelly and it has been sold on several times since. It a brand best known for its bodybuilding supplements. Of its 1500 user feedbacks, we have looked at the balance between the positive and the negative feedback. 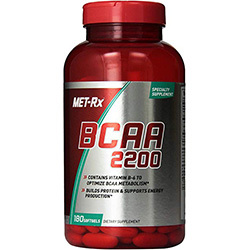 This shows an overwhelmingly positive ratio of positive to negative for this pill form of BCAA supplements which is acceptable to both athletes and bodybuilders. It provides support for muscle nitrogen and also supports the production of energy in the body and the building up of muscles. 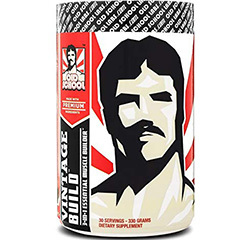 This is also a budget value BCAA with 180 softgels for just around the $11 mark. This can last 45 days if you have 4 softgels each day. The price per ounce is just $0.06! The cheapest of all of our BCAA Top Ten products. If you’re not a powder person, or just tend to be forgetful, it’s great to have some of these in your gym bag – they’re easy to take & provide optimum protein support for your next workout. Its rating is good, at 4.4 out of 5 and has over 1500 reviews – the highest number of Amazon reviews of any available BCAA softgel. The review frequency is slightly less than our Top Pick and Runner Up, but we would expect this with a significantly less number of reviews. The first 10 reviews came in 21 days, the previous in 15 days and the first 10 reviews that we took into consideration were in 11 days. By this, we understand that people are buying these softgels frequently and that a softgel form is a popular way of consuming BCAA. Just like BCAA powder, the pills are happily consumed by many bodybuilders, athletes or those who lift or train heavily. Therefore, in comparison to other tablets, capsules, and softgels, this product is by far the best pill form we found in our research. This is the only pill in our research that builds protein and muscle energy with added vitamin B6 for the optimal uptake of BCAA. 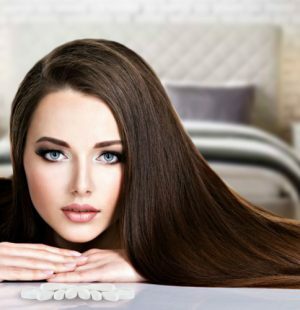 It also uses NitroGel Technology in order to maximize the delivery of the Branched Chain Amino Acids in each softgel. Some people prefer pills and capsules instead of powder as it just requires you to swallow it with a drink instead of making a powder drink. It does have better value too in terms of effectiveness and price than our top two, but a pill isn’t for everyone, hence why it’s our third choice. We also found that powder works more rapidly than the capsule form and as such, we had to give it an 8.7 Supplemania Score. This product contains 180 softgels per bottle for around $10. That is almost $0.6 per softgel, which as we stated in our introduction to this product, is very cheap indeed! 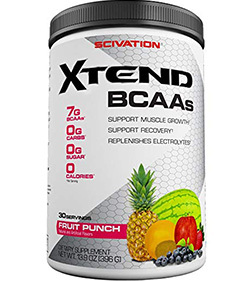 The cheapest and easiest way of accessing added BCAAS according to our research. There is only one size available, the aforementioned 180 softgels bottle and, as they are capsules, there is no particular flavor and no need for different varieties as they will be suitable for all tastes and preferences. Adults should take four softgels after training if working towards repairing muscles and maintain strength. You can also take up to four capsules prior to a workout for an added boost during the training session. They are suitable for both men and women but you should always consult your doctor if you are unsure of any cross medication issues. Our testers have reported some instances of stomach pain and headaches. Some have also expressed a dislike to the smell of the pills themselves. This powder is perfect for mixing into your evening smoothie after a busy day at the gym, it provides essential proteins ensuring that your muscle mass increases day by day. 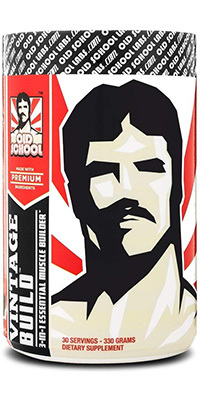 This product by Vintage Build offers a really effective mix of the three main ingredients required for muscle building! BCAAs, L-Glutamine and Creatine Monohydrate. 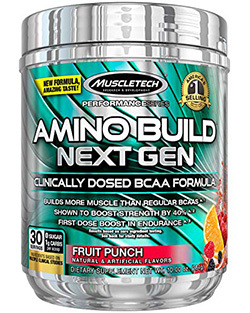 It is specifically formulated to add muscle, not just bulk, and it aids in recovery and strength building too. Vintage Build is made by Old School Labs (OSL Heritage) in California. They’ve been making supplements for forty years now! They are a best-selling make of supplements in the US nationally and they have thousands of customers, which are the company’s priority. They have a team of experts ready to respond via email and social media to help with any inquiries you may have too! Furthermore, they offer a guarantee too! If you’re not completely happy with the purchase, you can have all of your money back. Lastly, their products are tested by third-parties and are suitable for both men and women too! In terms of price, there’s 11.64oz per bottle which costs around $40.00. That works out almost at $3.26 per ounce, which works out at the most expensive in our top ten by quite a long way! This product comes in only one size and has a choice of two flavors: Fresh Berries or Lemon and Lime. To take this product, you should have one scoop two times a day before eating or between meals. For the best results, you should take two scoops before or in between meals twice a day. Also, this product can be taken immediately after working out. It can be or combined with a favorite protein supplement or mixed with 6 to8 oz. of water. This product comes with an allergen warning. It has been produced in the same facility as others containing milk, eggs, fish, shellfish, soybeans, peanuts and tree nuts. There have been no other known side effects of this product as yet. Price $20.99Prices are accurate as of April 21, 2019 at 04:41 AM. Product Prices and availability are subject to change. Any price and availability information displayed on Amazon at the time of purchase will apply to the purchase of any products. Scivation is committed to manufacturing excellence in order to produce serious results. This product boasts super hydration both before and after your workout as it supports muscle growth, recovery and also replenishes lost electrolytes. Their products are rigorously tested to ensure that they are relevant and effective – as well as being worth of the company name, not to mention worthy of being in your body! By combining the brilliance of both amino acids & electrolytes, this supplement encourages endurance by ensuring the body stays energized, hydrated & nourished – all of which ensures better results. There is a total of 7g of BCAAs, using a ratio proven by research of 2:1:1 as the ideal for muscle growth and strength. Furthermore, there’s zero calories and it’s completely free from carbohydrates and calories. It helps you get through your tough training sessions without consuming any unwanted sugars or carbs! They’ve orchestrated the optimal balance for protein synthesis in order to XTEND your workout! It comes in 5 sizes and 18 different flavors. It is also available in ready to drink bottles and capsule form too! The choice really is yours with this one! A 13.9 Oz per bottle costs around $20 meaning that it’s approximately $1.70 per Oz, which again is average in our top ten. 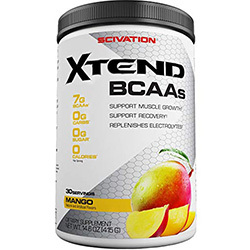 To supplement your diet, you should mix one Scivation Xtend serving with 10 fluid ounces of water. Make sure that you shake it well and consume during your workout on days where you train or steadily throughout the whole day on rest days. Due to the manufacturing methods, there is a slight risk of cross-contamination from certain allergens: dairy, eggs, peanuts, almonds, tree nuts, sesame, shellfish, fish, corn and sulfites. Price $21.68Prices are accurate as of April 21, 2019 at 04:41 AM. Product Prices and availability are subject to change. Any price and availability information displayed on Amazon at the time of purchase will apply to the purchase of any products. This product ensures that you keep hydrated throughout your workout due to its mix of electrolytes with the BCAAs. It helps support your recovery after working out and muscle growth too. 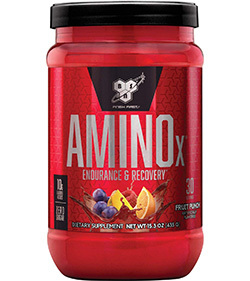 It has a full 7 grams of BCAAs in the research-proven combination ratio of 2:1:1. It also works as an intra-workout catalyst and yet has no carbs or sugar! In fact, there isn’t even a single calorie in it! With a whole host of flavours, you’re sure to find your tastes met with the BCAA pre-packaged formula. It’s easy to carry along to the gym & sip whilst you exercise, or chug post workout. This supplement powder comes with 14.6 Oz per bottle for around $25.00. That is approximately $1.6 per Oz. Again, this product is average in its price within our top ten. You should mix one portion of Scivation Xtend with 10 fluid ounces of water. Make sure you shake it very well and consume it during your training on exercise days or throughout the day generally on rest days. Again, as with our previous pick, the risks with this product are related to allergens that are used in the same manufacturing facility. The BCAA powder is made in the same facility as products containing dairy, eggs, peanuts, almonds and other tree nuts, wheat, shellfish, fish, sesame, corn, and sulfites. Price $13.75Prices are accurate as of April 21, 2019 at 04:41 AM. Product Prices and availability are subject to change. Any price and availability information displayed on Amazon at the time of purchase will apply to the purchase of any products. MusclePharm offers something different! 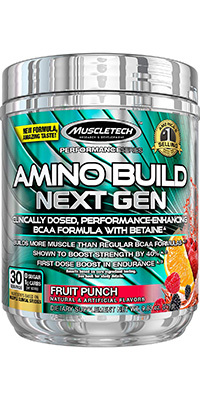 A unique ratio of BCAA with 3:1:2 (Leucine, Isoleucine, and Valine respectfully). This combination, which is patent-pending, helps to promote the development and maintenance of the muscles, reduces their breakdown and supports the body’s growth of lean mass. It has no calories, no carbs, no sugar! There’s also a 100% money-back guarantee if you are not satisfied with your purchase (for 30 days). MusclePharm have developed a unique ratio of amino acids that works to reinforce the body’s conversion of fat to lean mass, as well as maintain & develop muscle. If you’re unhappy, they’ll even refund you! There is 7.61 Oz per bottle which costs around $13. That is around $2 per Oz pf powder, making it one of the more expensive items in our top ten. It is available in two sizes (30 & 60 servings) and 5 flavors: Blue Raspberry, Lemon Lime, Watermelon, Fruit Punch and also unflavored if you prefer. You can also buy this product in capsule form. To take this product you should take one serving (which is 2 scoops) of power mixed into 10 to 12 ounces of water. You should consume one serving between one to three times each day. For best use, you should take it between meals, half an hour to 45 minutes before working out, and/or immediately after. There have been no noted side effects but you do need to heed the allergen warnings on the packet. It contains soy and is produced in a manufacturing facility that also handles eggs, milk, soybeans, fish, shellfish, peanuts, and tree nuts. Price $21.19Prices are accurate as of April 21, 2019 at 04:41 AM. Product Prices and availability are subject to change. Any price and availability information displayed on Amazon at the time of purchase will apply to the purchase of any products. This product’s list of benefits is huge! It helps to repair damaged muscles quickly, reduces any soreness and prevents any future breakdown of the muscles. 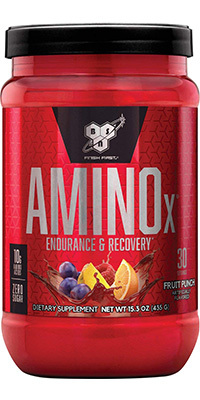 It also supports the synthesis of proteins in the muscles as well as enhancing workout recovery. It promotes the sensitivity of insulin in the body as well as supporting the production of endogenous glucose. It also reduces the metabolism of proteins too. If you’re looking for something to nurture your muscles back into exercise post injury, this might be your best bet. This powder gently boosts your muscles & helps to regenerate vital tissue. A 10.58 Oz bottle costs around $21. This works out at around $2.00 per Oz which is one of our pricier options in the top ten. To take this product you should consume one serving either before, during and even after a workout. You can also take it at any time of day if you desire. Users of this product have reported some gastrointestinal upset or a headache. Price $18.00Prices are accurate as of April 21, 2019 at 04:41 AM. Product Prices and availability are subject to change. Any price and availability information displayed on Amazon at the time of purchase will apply to the purchase of any products. This product has three clear benefits: promoting performance, muscle growth and recovery. Principally it is designed to support your endurance and take your performance up a gear. It as a 10g blend of BCAAs as well as the essential amino acids Taurine, L-Citrulline and L-Alanine. It helps the body to recover from the day’s workout and prepare for the next one. This powder is packed full of vital proteins to nourish & develop muscles, helping them withst& more & more with each workout. Above all, this formula is pretty affordable too, making it a good choice. It comes in a 15.3 Oz bottle and costs around $18. We make this to be around $1.25 per ounce, which is the second cheapest per ounce of our top ten! It comes six different sizes: 20 servings caffeinated, 30 servings caffeinated, 30 de-caff servings, 70 servings non-caffeinated and cold stone protein. There are nine flavors: Blue Raz, Cherry Cola, Cola, Fruit Punch, Grape, Green Apple, Strawberry Dragon Fruit, Strawberry Orange, Tropic Pineapple and the unflavored option. For this product, you need just one scoop prior to training, during your workout or afterwards. Some reported side effects have been sleeplessness, dizziness, tremors, nervousness, heart palpitations or headaches. These side effects are by no means experienced by all users and are most likely due to the caffeine content of some of the flavors available. Price $18.73Prices are accurate as of April 21, 2019 at 04:41 AM. Product Prices and availability are subject to change. Any price and availability information displayed on Amazon at the time of purchase will apply to the purchase of any products. This product focusses on enhancing the consumer’s energy as well as providing an electrolyte complex with precision. 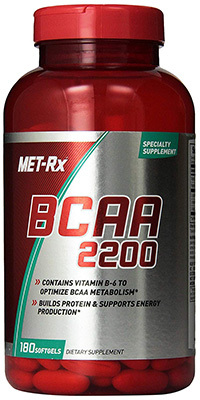 It has free-form BCAAs in its advanced formula which increases the speed of absorption. As this product contains caffeine, it can be taken before as well as during tougher workouts, giving an instant boost to energy and the intensity in which you can work out. This powder is potent, & expertly formulated for fast bodily absorption meaning you get the most out of each workout without fail. It contains caffeine too, providing an extra boost without having to drink coffee. A 10.15 Oz per bottle is around $15. That is around $2 per Oz, making it slightly above average in terms of cost, hence its position further down our top ten. This product is only available in one size and has a limited choice of three flavors: Extreme Orange, Watermelon and Tropical Mango. It does have ready-to-drink bottles as an advantage too! To make up this supplement you should mix one scoop with about 8 ounces of water. You can consume it either before a workout or during it. If you wanted to increase your BCAA consumption but not add calories on from the protein shakes, you could also add a scoop to a jug of water and drink it throughout the day. We have not had any users experience or report any side effects to us when using this supplement! Great news! They are called branch chains due to their branch-like appearance under the microscope. They have massively important functions to do with increasing proteins and helping with energy sources and production during physical activity and exertion. There are also other amino acids. 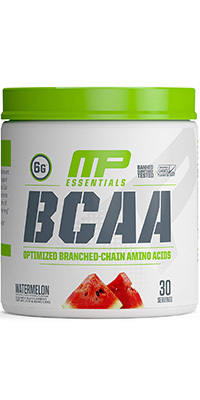 All BCAAs are amino acids but not all amino acids are branched chain. Alanine works as a source of energy in the liver. It is one AA that is easily used in the body and is apparently known to improve the metabolism of alcohol too. It is used to synthesise glucose and is essential for liver health too. This helps to maintain normality in the organs and blood vessels, helping to improve blood flow by expanding vessels. Nitric Oxide is also made from arginine. Nitric oxide is needed to expand the blood vessels. It helps to eliminate excessive ammonia from the body. Excess ammonia can cause fatigue too. 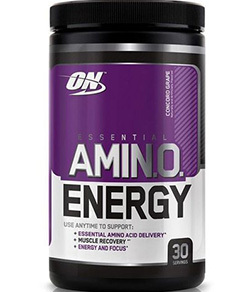 This amino acid helps with the digestive tract and is one of the more frequently found amino acids in the body. It is used as a source of energy in the intestine. This essential amino acid is usually lacking if you have a rice or bread focussed diet. Flour has hardly any lysine in it and so it many people it should be added through supplementation. Lysine tends to be lacking in developing countries as these are places where flour or rice is the main staple food source. Lysine deficiency can lead to failure to grow. Aspartic acid is found in large amounts in asparagus and it is easily used as an energy source. This is often called Glutamate and it’s found in soybeans and wheat in great quantities. It’s easily used as an energy source and it’s an important addition in terms of taste for stock soup in Japan. Glutamate is reported to enhance recovery after working out. Proline is a component in collagen, which is found in the skin and other body tissues. It works as a quick-acting source of energy and it has a moisturizing factor, keeping your skin well-moisturized. 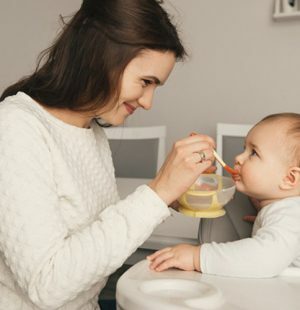 It’s easy to find infants deficient in this essential amino acid as it comes from the synthesis of methionine in the body. 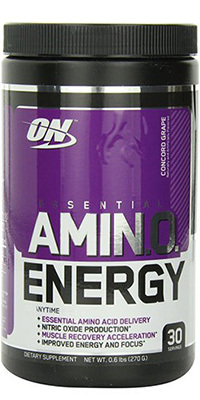 This is an essential amino acid that forms active enzyme sites. This is needed to produce other substances in the body, like the aforementioned Cysteine. This AA aids in the production of histamine, as well as other body substances. This AA produces various amines that are useful in the body. This produces useful amines as well as sometimes being called aromatic essential amino acid with tryptophan and phenylalanine. This is an AA which produces various amines that are useful in the body. This is an AA which is situated close to the location of the TCA cycle (which is where energy is produced in the body). This AA is used in the production of porphyrin and glutathione. Porphyrin is a component in blood haemoglobin. This is used in the production of glyceric acid and phospholipids. If you’re looking to take a supplement for bodybuilding or to enhance your athletic performance (which, if you’re reading this then you must be!) there are certain things that you should be aware of. In terms of BCAAs, if the product you’re taking just has the three BCAAs then this can still be useful to you as a bodybuilder, but certain people will be lacking in other EAA due to a poor diet or simply because they cannot access them readily enough for what their bodybuilding body needs. This is why some people should consider a BCAA with many of the other EAAs added as well. Some people liken taking BCAAS alone, without the essential amino acids supplements, is like putting out only three people in your basketball team rather than the full team! You’ve more chance of winning with all of the players there! Essentially, you should ensure that the product that you’re taking is the one that suits you best for your individual needs. After you’ve done that, go and shoot some of those metaphorical hoops! So, there you have it. A complete guide to the best ten BCAA powder supplements out there today in 2018. If you’re looking to enhance your bodybuilding or athletic prowess, they may be a great addition to your workout regime and diet. Essentially, amino acids are the bricks and mortar of proteins and, as an athlete or someone looking to train harder, you should already know that you can’t build muscle without proteins! BCAAs will give you much less fatigue in your muscles, a quicker recovery, improved absorption of diet proteins and will also help you to increase your levels of the other amino acids. Sounds good, doesn’t it? If you’re still not sure on which to choose, you really can’t go wrong with our top pick! And so many people agree – just look at the Amazon ratings and reviews. Happy training!